It oozes out of grilled cheese sandwiches, defines the common cheeseburger, and claims a place of high status in the lunchboxes of children across the nation. However what we know and love in this country as “American cheese” is neither American – nor is it cheese. Look closely at the label on your orange slices of American cheese and you will see that the word “cheese” only appears in the tag: pasteurized processed cheese product. 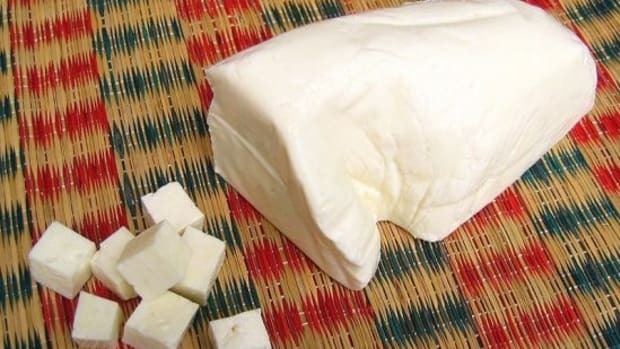 If cheese is “milk’s leap towards immortality,” then pasteurized processed cheese product is milk’s deal with the devil – a complete transformation into a shell of its former self, utterly stripped soul and substance. 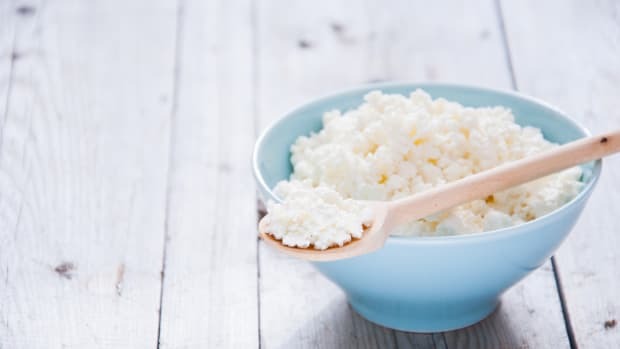 Discover how this waxy, plasti-crappy cheese-like product came to be so popular in America – and learn about healthier, more wholesome alternatives that you can choose instead. 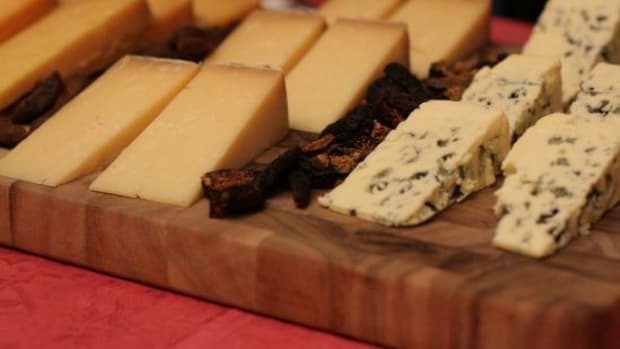 The story of American cheese begins in Switzerland, of course. 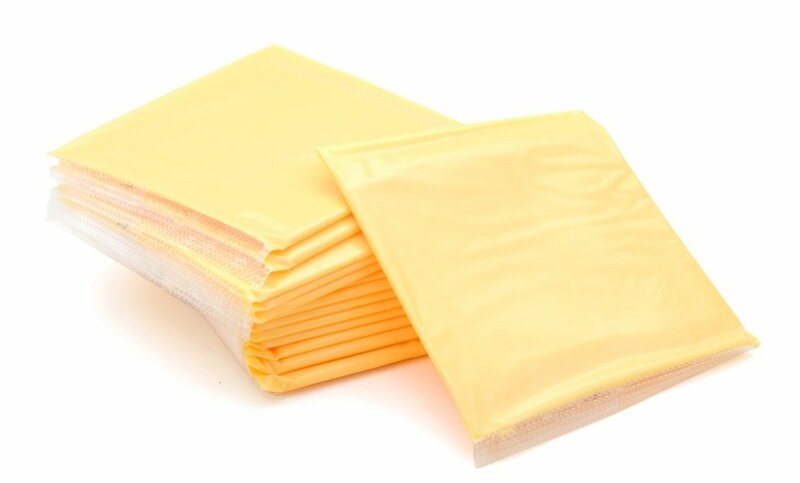 Processed cheese product was invented in the landlocked Alpine country in 1911 by Swiss scientist Walter Gerber. 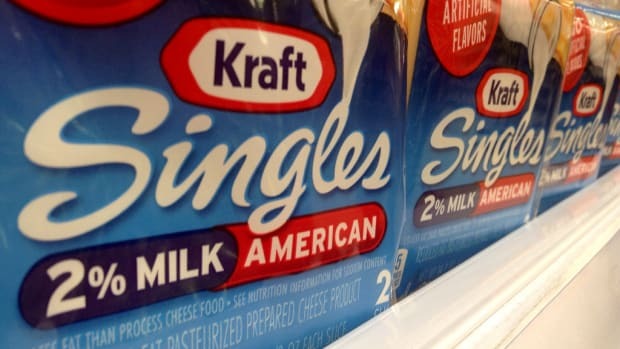 Shortly after, a very smart man named James L. Kraft grabbed the American patent for the processing method, and it was his company that created the first commercially available sliced “American” cheese singles, which hit the market in the 1950s. 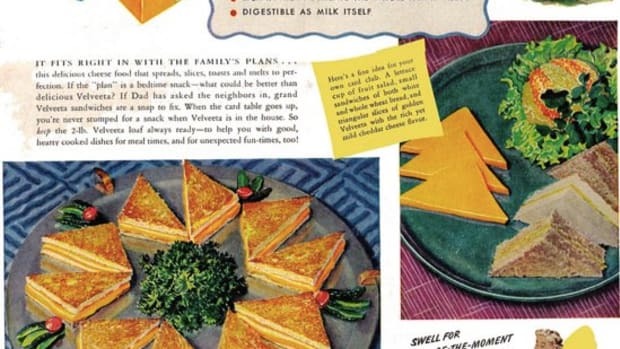 At the time, Kraft was criticized for using marketing tricks to sell second-rate cheese as a first-rate product – and his product was called “embalmed cheese.” But his tricks worked. Americans gladly sacrificed the taste and quality of their cheese in favor of convenience, a growing trend that would play out over and over in the country as quantity and ease became more important that anything else in many people’s diets. The food’s supreme meltability also helped to earn it a place on top of fast food cheeseburger patties, squished inside of grilled sandwiches, and oozing out of macaroni and cheese. Today, most Americans have eaten our fair share of those bright orange slices in convenient plastic packages - not to mention Cheez Whiz, Easy Cheese and Velveeta. But if American cheese isn’t cheese… then what is it? Technically, no. Because American cheese has so many additives, it is illegal to label it as “cheese” in many countries, including America. According to the FDA, when a product contains more than 51% additional ingredients, it is no longer itself. Processed cheese product isn’t cheese. If “you are what you eat,” do you really want to be a processed product? While real cheese is no gold-medal champion on the healthy side of the diet chart, at least it is free from the chemical additives and artificial flavors and colors found in many types of processed cheese. 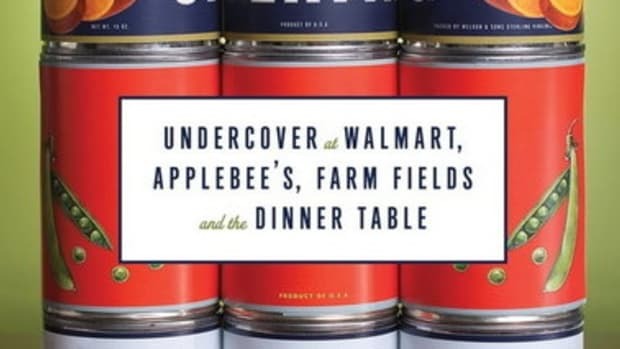 Despite the sad trend towards a preference for food products instead of food in America over the past few decades, consumers are finally waking up to the fact that the quality of food just might be more important that the quantity that you can buy. While budget concerns are ripe for many these days, the true cost of eating “foodstuffs” instead of food is impossible to measure not only on your waistline, but on your future health as well. Test it for yourself – and you will see that one bite of real Wisconsin cheddar is far more satisfying and delicious than five slices of cheese-like product. Life is too short for fake foods. 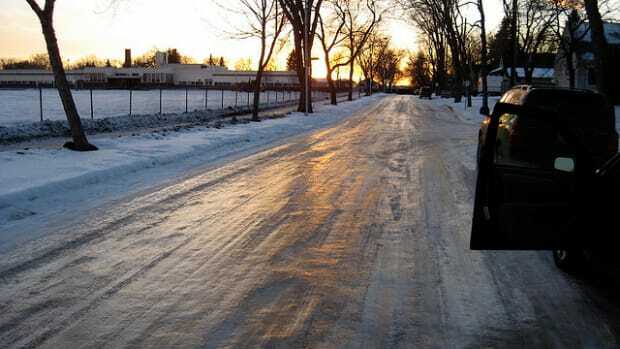 This post was updated on December 3, 2015.